How to Use MBTI for Your Personal Growth? Many months ago, my elder brother sent me an article about how the Myers–Briggs Type Indicator (MBTI) is inaccurate. I opened the article and scrolled all the way down. As expected, it’s another article about the Big Five personality traits. I’ve not studied the Big Five personality traits, so I would not comment on how useful it is. But instead of criticizing MBTI and using it as the headline, I would be more interested to learn about the Big Five personality traits if they were to just show me its benefit. Without the cognitive functions, MBTI is incomplete. I started explaining to him how the MBTI cognitive functions work. But before I could complete my sentence, he didn’t want to listen to me anymore. So I said, “You just want to prove that what I’m studying is useless and not worth my time, right?” He laughed and left the room. All is well. This is how we tease and disturb each other on a regular basis. However, I felt that those articles that criticize MBTI have misrepresented MBTI. Without addressing the cognitive functions, they left out a huge chunk of the MBTI. In this post, I’ll explain why the cognitive functions are useful and suggest three ways to use them. But I do agree with the writers that MBTI tests aren’t very reliable at determining our personality types. Maybe the Big Five is more reliable and valid in that aspect as argued by the writers. So let’s address that first. What Is MBTI and How People Get Confused with Their Types? Myers–Briggs Type Indicator (MBTI) is an introspective tool. It helps you understand your psychological preferences in perceiving the world and making decisions. “Preference” is a word that can be misleading to some people. For MBTI, it refers to your mind’s natural preferences, something your mind is more likely to do automatically without much conscious effort on your part. Your preferences are the most apparent when you are a child or when your mind is in auto-pilot. Preferences refer to your mind’s preferences, not your preferences. They are not what you want your mind to do. Your mind might naturally look inward, but you might think that it’s not good for your social life and you ought to spend more time with others. This self-imposed rule is not what your mind tends to do. Yes, you can change your habits over time and become better at using your other cognitive functions. But this is not your mind’s natural preference. MBTI measures innate preferences, not strengths or your desires. That’s why some people are confused and find it difficult to determine their personality types. They aren’t aware of their mind’s preferences and habits. How to Use Your MBTI Results? When you have received your four letters from the MBTI test, the first thing you should do is to read the profile and check if it describes your psychological preferences or not. Don’t take the results at face value. Investigate. MBTI is a self-assessment tool. A lot depends on the user’s self-awareness. When you have doubts about your personality type, read other profiles that are likely to be your personality type too. For example, when I first completed the official MBTI test in school at 17, I was given the INTJ as my personality type. But when I read the description, it just didn’t feel right to me. So I read the INFJ profile too because my feeling and thinking scores are so close; they are 49% and 51% respectively. After reading both profiles, I felt that the INFJ profile was a little more authentic to me. And years later, I had been consistently tested as INFJ. If you have more than one letter that is confusing or you can’t find a profile that resonates with you, the best thing to do is actually to study the eight cognitive functions and start from there. See which cognitive function you tend to use and work backward to derive your MBTI personality type. What Are the Eight MBTI Cognitive Functions? Cognitive functions are how we process information. In MBTI, they are based on Carl Jung’s theory of psychological types that focus on two major functions — how we perceive and take in information, and how we make decisions using this information. Intuition (N): Perceive information in an abstract way by seeing the big picture. Sensing (S): Perceive information that is real and tangible. Feeling (F): Make decisions based on what’s important to them or other people. Thinking (T): Make decisions based on logic. Introverted (I): Focus on the inner world. Extroverted (E): Focus on the outer world. As a result, there are eight major cognitive functions in total — Introverted Intuition (Ni), Extraverted Intuition (Ne), Introverted Sensing (Si), Extraverted Sensing (Se), Introverted Feeling (Fi), Extraverted Feeling (Fe), Introverted Thinking (Ti), and Extraverted Thinking (Te). I’m not going to go through each cognitive function in-depth here. But a simple example is Introverted Feeling (Fi) makes decisions based on what’s important to them and their internal values, while Extraverted Feeling (Fe) makes decisions based on what’s important to others and group harmony. All the 16 personality types have the eight cognitive functions, just that they are in different orders based on our natural preferences. The first two cognitive functions, commonly known as dominant and auxiliary, best describes our personality. The third and fourth functions, commonly known as tertiary and inferior, are the ones that cause trouble and stress sometimes. But when used appropriately, they can help us to balance our personality. The last four are mostly unconscious to us. We might even deny these functions because they are so unlike us. Again, without going into details on how the cognitive functions are stacked. 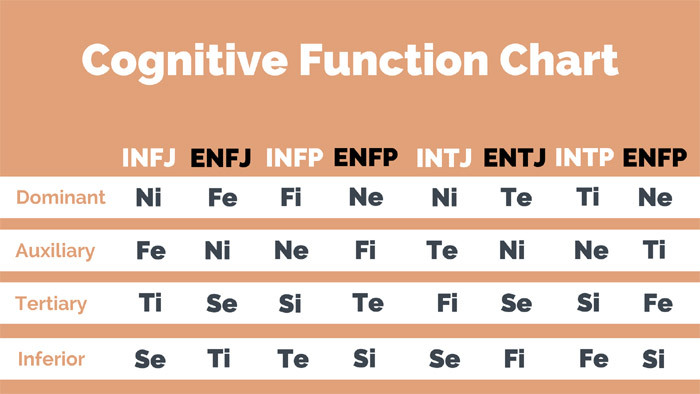 Here is the order of the first four cognitive functions for each of the 16 personality types. Why Use MBTI Cognitive Functions? Knowing your MBTI personality type only help you be more aware of your strengths and weaknesses. It hardly tells you: What to do about it? 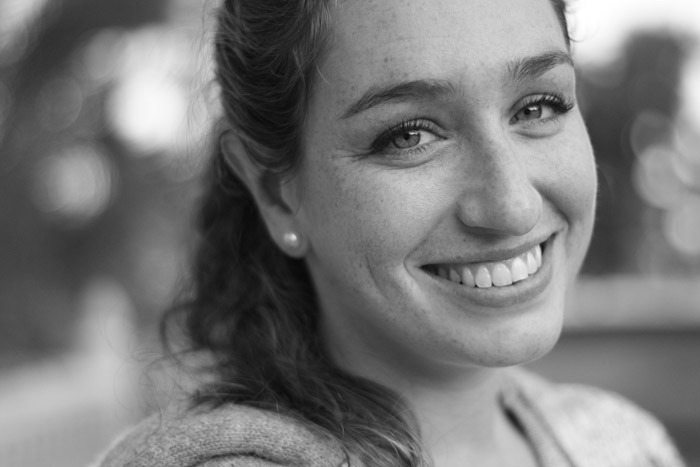 What’s next after you know your personality type? 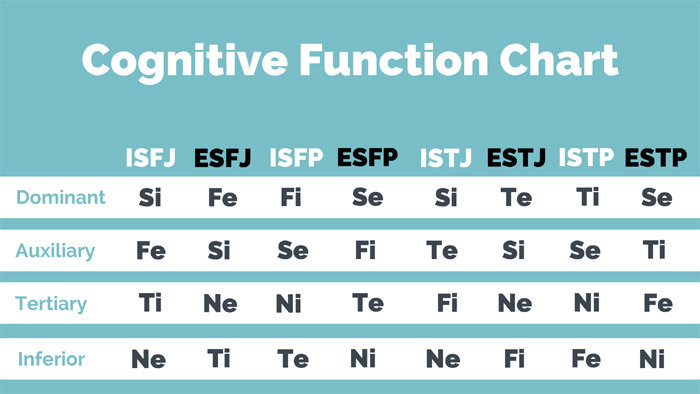 MBTI is not very meaningful when you don’t know about the cognitive functions. With cognitive functions, however, you will have a better understanding of how your mind tends to operate and how it might create problems for you. Having this knowledge, you can then figure out how to use your cognitive functions better and more consciously. When you do that, MBTI becomes an applied tool with many benefits waiting for you to discover instead of being a tool that puts you in a box. In the next section, you will find some ways to use your MBTI cognitive functions for your personal growth. How to Use MBTI Cognitive Function for Your Personal Growth? 1. Create balance in your life using cognitive pairs. Having preferences can be somewhat dangerous. When you are too comfortable with using your dominant function, you tend to neglect important information that the other cognitive functions provide. For example, being an INFJ and Ni (introverted intuition) dominant, I often caught myself daydreaming and being too inside my head. Under normal circumstances, it’s fine. But when I’m walking or crossing the road, I’m not as aware of the traffic as I should be. My mind wanders when it’s in auto-pilot and this could be hazardous. In a moment like this, I have to consciously focus on my Se (extraverted sensing) and bring myself back to present. Each cognitive function needs a partner. Extraverted Feeling (Fe) with Introverted Thinking (Ti). If you look at your functional stack, you will find that your dominant function (1st) pairs up with your inferior function (4th), and your auxiliary function (2nd) pairs up with your tertiary function (3rd). Instead of seeing your cognitive pairs as oppositions and what you like or dislike, use your less preferred function to create balance in your life. You don’t have to spend too much time using your 3rd or 4th function. But you have to at least use them enough so that your perceptions and the decisions you make aren’t too one-sided. 2. Consider your top 2 cognitive functions when selecting your career path. Before I begin, I want to stress that finding a career path that suits you don’t solely depend on your personality type. You have to consider other factors such as your passion, talents, skills, and the marketplace (Is there a need for your service?). Your personality type can’t tell you how well you can perform your job too. Sometimes, people confuse preferences with talents and strengths. Just because I prefer to use intuition doesn’t mean that I’m good at using intuition or my insights are right all the time. If I don’t get more information through my extraverted sensing (Se) and just rely on my introverted intuition (Ni), I could be delusional too. Of course, when you use a cognitive function more, the chances of you getting better at it increases. That’s why most people see their personality type as what they are good at doing. But it’s not necessarily true. to help you select a path of less resistance. For most of us, work occupies a huge chunk of our time. If you are not doing something that your mind naturally prefers to do at work, where else are you going to use these functions? After leaving the accounting and animation industry, I started learning programming and coding on my own because I was considering getting into the IT industry. But I asked myself, “Will I feel fulfilled or not?” Yes, I am analytical and systematic. These are my strengths. However, I realized that I wasn’t fulfilled with my previous jobs because I didn’t get to use my second function, extraverted feeling (Fe). I want a job that allows me to help people. So I ended up being a tutor and a self-help author instead. Your top 2 cognitive functions are what your mind naturally wants to spend time on. Rather than fighting against your natural inclination, consider your top 2 cognitive functions when choosing your career (and of course, other important priorities in your life). 3. Be more conscious of your last four cognitive functions for your well-being. Even though we don’t use and trust our last four cognitive functions as much, it’s good to give them some attention too. Not only do they help you in self-awareness and self-discovery, they can also improve your overall well-being. Your last four cognitive functions are your blind spots. An INFJ like me tends to neglect our own values and feelings (Fi) because we are so busy helping others and accommodating them (Fe). We are also not that aware of our bodily sensations (Si) and the pain in our bodies. But paying attention to introverted feeling (Fi) can help us be more aware of our values and personal boundaries so that we can prevent ourselves from being taken advantage of. Also, paying attention to introverted sensing (Si) can help us be more aware of our bodily sensations and identify health problems before they become chronic illnesses. Just because your mind doesn’t like to use them doesn’t mean that you shouldn’t pay attention to them. They can provide valuable information and neglecting them might obstruct your growth. I have to deliberately ask myself how am I feeling and pay attention to my body on a daily basis to make sure that everything is okay. Not only does MBTI help your in personal growth, it can also be used to improve relationships and reduce conflicts. When you know how your family and friends tend to operate, you will be more forgiving and understanding them. Furthermore, when you are aware of other people’s cognitive functions, you can learn from them more intentionally and work with them better. For example, when I get stuck in my perspective (Ni), I will seek help from my INFP brother who loves to brainstorm ideas (Ne). He will open my mind to new perspectives. However, MBTI does have its limitations. Unlike what most people believe, MBTI does not capture the essence of who we are. It only tells us how our mind tends to operate, but we are more than our mind. I’ve seen people complaining about their personality types in forums as though that their MBTI types determine the rest of their lives and they cannot do anything about it. The truth is we can train our mind to develop other cognitive functions and get better at using them. Our brain does not remain stagnant unless we let it stays stagnant. Knowing your MBTI personality type is the start of self-discovery, not the end. Your mindset is important. Whether a tool is useful or not, it depends on the user. If the users treat MBTI like a horoscope reading or entertainment, then it will be just that for them. See it as a gift and you will find many ways to enhance your life.